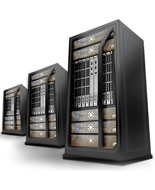 RSI Host is a high quality and reliable hosting solution provider operating in the UAE since 2008. We have been catering to various hosting requirements varying from small sized static/CMS websites to large scale online applications. Our up to date consultancy has helped many organizations to take well informed decisions thus getting them a solution which fits into their budgets and needs. RSI Host also provides clients with technical support throughout the contract period. RSI Host was setup with the aim of filling up a huge void in the field of quality web hosting service providers in the UAE and GCC. With a growing economy and steady shift towards eServices, RSI Host has the ability to cater to SMEs, private institutions, government departments & academic institutions (School, Colleges & Universities). Apart from day to day hosting requirements for small medium websites, RSI Host also provides cloud hosting packages to facilitate high end web based intranet applications. Cloud hosting allows organization to host, run and maintain such application without getting into the hassle of purchasing a high configuration server and pay big amounts to maintain and support such devices. RSI Host and its hosting packages are supported by a team of young and experienced professionals who are available to ensure the uptime of your hosted website, emails and online applications.